Buying a new car comes with a lot of decisions. What model do you want? What color? And, perhaps most importantly, how in the world are you going to pay for it all? 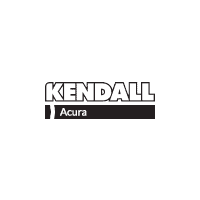 That’s where we here at Kendall Acura come in. Our Finance Center serving drivers in Eugene is here to make your financial situation work with the vehicle you’ve selected. Here are some of the main ways that we can make your dream car a reality. We provide financing for new vehicle purchases. We assist in used car financing. We help you prepare for the responsibility of financing your vehicle by providing an online car loan calculator, which can then help inform the details of your finance application, which is right here on our website! We can help you find the loan that works for you, your budget and your lifestyle. That means that you don’t have to worry about having bad credit or even no credit at all! Whether you’re facing bankruptcy or repossession, know that we are here to act as your resource until all of your needs are met. We maintain strong relationships with lending institutions, so we are dedicated to finding the car loan company that makes the most sense for your personal financial needs. We can assist with refinancing your car loan or simply adjusting the terms of your current contract. If you have existing loans, we can help you secure low-interest car loans. If you have a financing question or problem that isn’t addressed in the list above, please don’t hold back. We’re here to help you find the answer and we won’t stop working for you until you have the car loan (and car!) that is right for you. Let’s get started today!